Sanna and her father run an apple orchard. It is a hard job but both of them love it and are tied to the land and the trees. The orchard is in financial trouble. They are also being sabotaged. Issac and Bass are really running away from home. They end up at the orchard and sparks fly. Sanna is a hard working, rough and tough gal. She is not one of the best characters though. I love strong female leads but I am not a fan of her rudeness and her temper. Issac and Bass make up for Sanna, especially Bass. Bass is Issac’s 10 year old son and BOY is he a mess! The setting of an apple orchard is certainly unique. 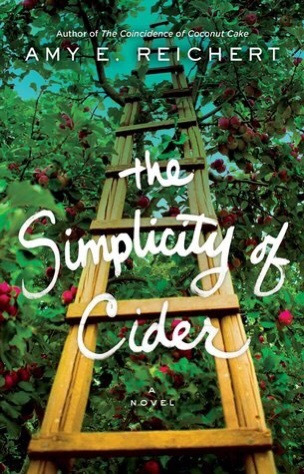 I enjoyed reading about the apple trees and the making of cider. However, the story is not as fast-paced as I like. But, it is a good read, especially for travel. It is simple. I know this sounds like a bad thing, but it is not. Sometimes you need a book like this. It does not take too much focus but keeps you immersed in the story. It is super good….thanks dear!! Have a fantabulous day! You, too, my dear friend.